Marley's lot was indeed a sad one. Misery was his meat, and despair was his drink. Nothing of the earth was his except for the cold fingers of the grave. And it was there that Marley would never retreat. The grave was death! Marley had no powers such as those given to other earthbound spirits. He was a wraith - a wanderer. However, upon saving the soul of a dear friend, he was given a haunting. In this haunting Marley's powers could not be equaled. However, one foot off the haunting's property, and his soul would find itself in endless damnation. Marley found himself trapped, staring out a window into an ever-changing world. A world he would never again become a part of. A world of love, laughter, sorrow, and pain. He would always be a stranger to it. Waiting and waiting. Hoping to prove himself worthy. I really enjoyed this story and thought the narration was very well done. Marley is still rattling around the afterlife in chains but he is given a chance to redeem himself, remove the chains and move on, If he can save a family about to implode. It is how he chooses to “save” them that will get you right in the heartstrings if you don’t at the very least gasp or shed a little tear you may not have a soul! Just kidding but really this one got me right in the feels but at the conclusion I was able to breathe again and applaud the author for his great storytelling! 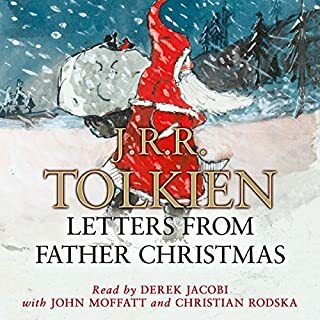 I enjoyed J. Scott Bennett narration he is a new to me narrator who I would definitely listen to again his British accents were the best and I enjoyed his little girl voice his American accent could use a little work but I still enjoyed it overall. This book is only 2 hours and 46 minutes but I was completely enthralled the entire time. I highly recommend this different little book. A great addition to your Christmas listening list! Excellent book for a holiday read! In this take on Scrooge, Jacob Marley is still hanging around the house that was once owned by Ebenezer Scrooge in London. An American family is transferred to London for job reasons and move into the house. The daughter, a young girl, can see Marley and converse with him. In the meantime, mom and dad are having marital problems of which the young lady is only too aware. She enjoins Marley to help her obtain the desire of her heart, which as it turns out is to get her parents back together and cease their fighting and become a family again. Extreme requests require extreme measures, and Marley delivers. The narration is excellent as well. 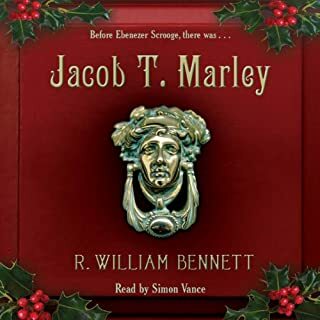 I love Bennett's voice, especially his voice for Jacob Marley. 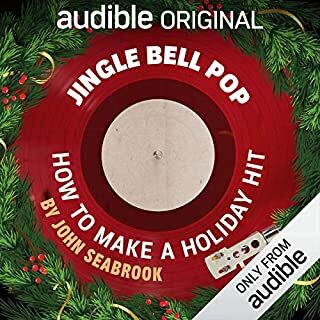 Set during the Christmas Season this is an wonderful holiday listen! I will be returning to it year after year. 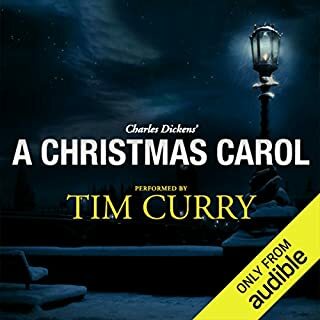 As a huge fan of Dickens "A Christmas Carol," I wasn't sure how I would like this modern tale. I am very happy to say I loved it. Following the family that inhabits the former Marley house, and haunting kept me intrigued. I agree with another reviewer who called the story predictable. No surprises here. It was ok but not really my cup of tea. The narrator did an ok job. I think the whole shebang needed a bit more of......something. A little twist to your holiday tale. 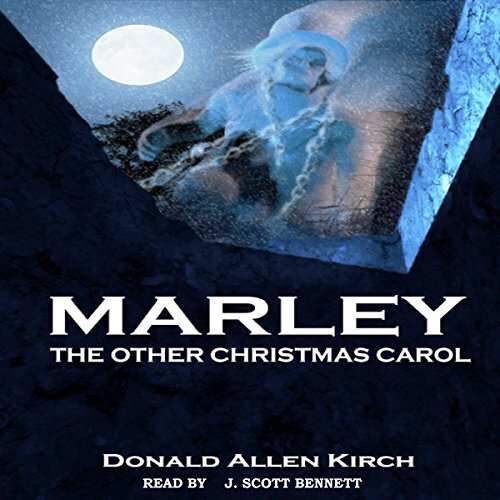 Marley has been trapped, haunting Ebeneezer Scrooge’s old house for several generations. The chains still weigh down his ghostly form. He waits for a path of redemption but can’t see it ever happening. He’s a pretty depressed ghost. He becomes even more depressed when he learns an American family is about to move in. The Kringles are from Los Angeles. Beverly was transferred by her law firm to the London branch. Den is a househusband and writer. Kathy is their nine year old daughter, and the first to suspect that there is a ghost living in their new home. Kathy’s parents argue off and on throughout the tale, mostly about who contributes the most to the household. I liked that the wife had the high-power high-paying job and all the resultant stress as the husband struggled with his writing and being a good stay-at-home parent. I did have a little giggle when Den was a little insulted at the thought of taking on a secretarial job. Kathy is a good kid. She treats the family butler, Tobias, as a potential friend and talks a lot to her mouse doll (Manny). Her Christmas wish is for her parents to stop fighting and for them to be a loving family. It’s very cute. Because her parents are so wrapped up in their own problems, Kathy gets neglected a bit. If Tobias wasn’t around, she wouldn’t have much adult company at all. There’s plenty of TV references that I enjoyed – Star Trek and who makes the better Homes – Jeremy Brett or Basil Rathbone? These cultural touchstones plus the whole Marley’s ghost and The Christmas Carol make it all rather nostalgic. I grew up on all these shows (that Disney version of The Christmas Carol with Scrooge McDuck) and so there was plenty here for me. Eventually, tragedy hits the Kringles family and Marley’s ghost appears to the parents warning them to change their ways. They have a deadline and neither think they can make it happen. The ending was sweet even if a bit predictable. I think this is another great addition to the feel-good family-oriented Christmas season stories. I did feel the most for Marley and his plight, with Kathy a close second. I received a copy of this book at no cost from the narrator in exchange for an honest review. Narration: J. Scott Bennett did a really good job with the British accents. I liked Marley’s hopeless voice and the occasional disgust in reference to Americans moving in to the neighborhood. The Kringles all got a kind of hick accent that was better suited for Texas or perhaps Oklahoma, but not modern-day Los Angeles. Bennett’s female voices were distinct and I liked his little kid voice for Kathy. Marley,as in Jacob Marley,is a lost soul,doomed to stay in his home for all time.One foot off his property an Pfft! he was toast.One day foreigners move into his home...and give him a chance to redeem a small bit of his past self.It's a story of hope,pain and goodness in all of us. J Scott Bennet does a wonderful telling of this story. Wonderful story for the holidays! Jacob Marley's ghost is doomed to carry around chains and haunt the Cratchit's house until one day an American couple and their 10-year-old daughter move in. 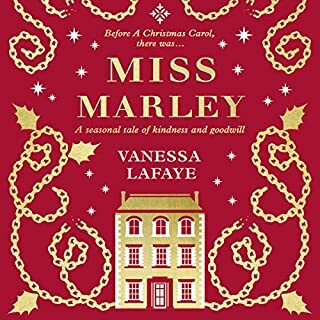 Marley desperately wants to be free of his chains, so he must find a way to grant the little girl's Christmas wish. Just like A Christmas Carol, this is a heart-warming story not to be missed! , J. Scott Bennett did an excellent job narrating. "Marley" was such a great listen. It WAS the other Christmas Carol. This was such a well thought out take on the original Christmas Carol. I loved it. The Kringle's were caught up in their busy lives and got off track and forgot what was really important in their lives. I think this had two points of view. One through Kathy, the Kringle's daughter and one through Marley. Kudos to Donald Allen Kirch for writing this. It was terrific all the way around and the narration was perfect. 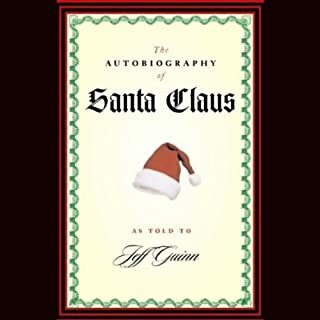 J. Scott Bennett did a fantastic job narrating this audiobook. He had the perfect voice with great inflections to make the story pop. A great combo of author/narrator. I'd definitely recommend giving this one a listen. A neat and playful little tale. Not great or profound, but okay for the price. I like the connections to the original book but not alot if it made sense at all. It seemed very predictable and not logical. Perhaps I need to listen to it a second time but the British chap who was the narrator made the American accent sound corny, at one point the characters openly declare they can't afford the house yet can afford a butler soon after.... This story was hard to follow because it just didn't follow logical sense. However it wasn't appalling, just wasn't great.